There are some very imaginative caricature customers out there. 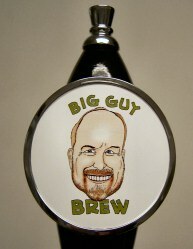 Who would have ever thought of putting a caricature into a beer tap as a gift? Amazingly this idea works really well. 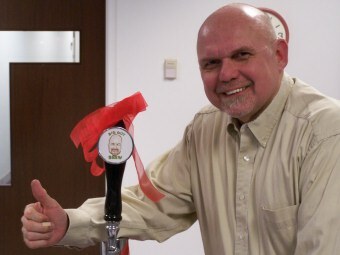 So from a couple of photos and an obliging printer and some creative juices, this retiree has a gift that will bring pleasure – and not just because of the beer – for many years!